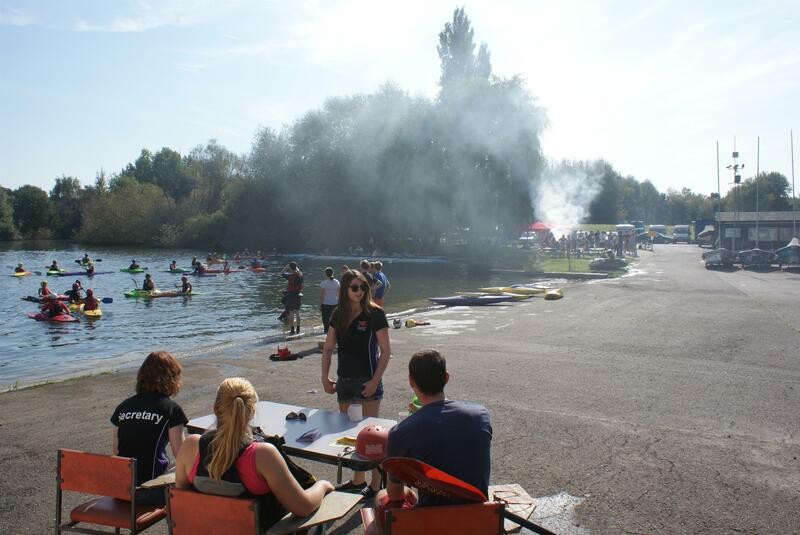 The wetsuits were off and the sun cream was out for last weekend’s taster sessions. 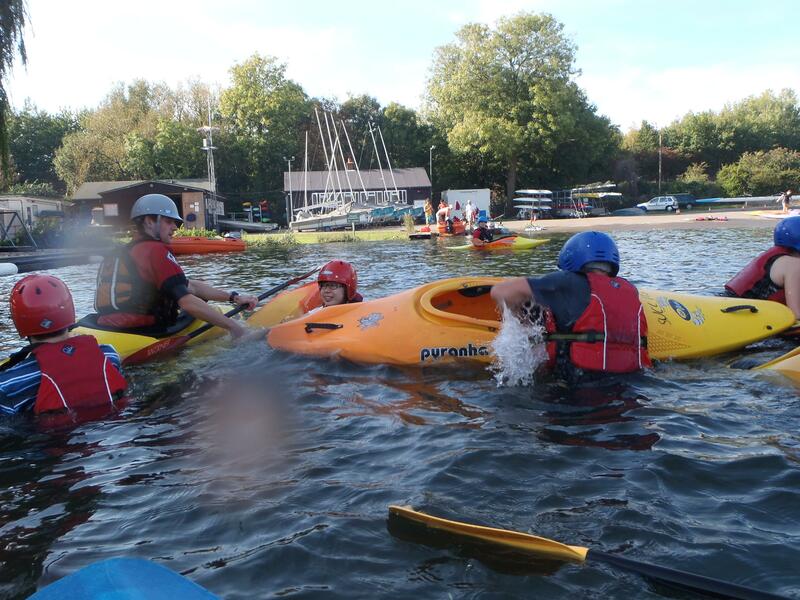 Hundreds of you came along to the boat hard each ready to try your hand at a little kayaking, on a weekend that can only be described as an absolute scorcher! The two days saw unadulterated levels of mayhem, an endless supply of grinning fresher faces and more sunken boats than we ever thought possible! If you did get out of a boat without getting wet, goodness knows how; you stayed far dryer than most of us. The taster sessions saw a variety of games, from the old classic ‘Stuck In The Mud’ to the Tom’s fantastically entertaining version of the game ‘Jump’. The variation saw Tom performing a beautiful rendition of the Girls Aloud classic of the same name (although he never did explain how he knows all the lyrics), whilst Freshers jumped as high as they could on cue. Needless to say the shenanigans ended in utter chaos. Just what we like to see! Don’t forget that the intro meeting is happening this tomorrow (Wednesday 5th October). Meet at 18:15 outside the stags and we’ll be heading onto our first social of the year afterwards and if previous years are anything to go by, it’s going to be a cracker. If you have any questions please contact us here. To see more pictures of the day, click either Saturday or Sunday (assorted on facebook).